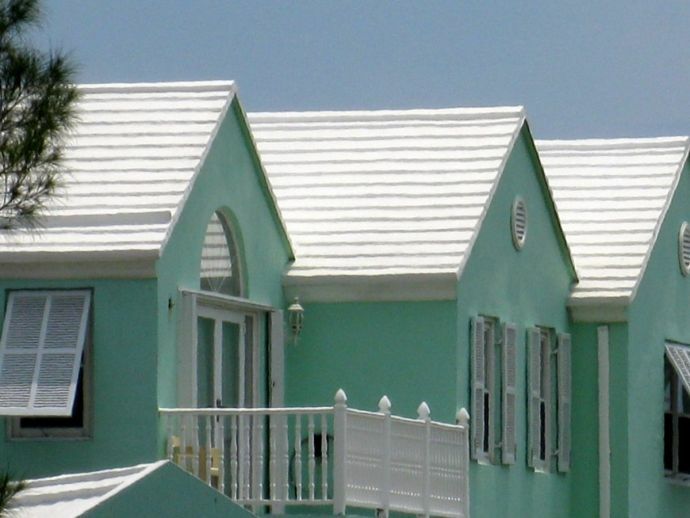 Ever Wondered Why The Houses In Bermuda Have White Stepped Roofs? Bermuda is a self-sufficient and a well managed island. 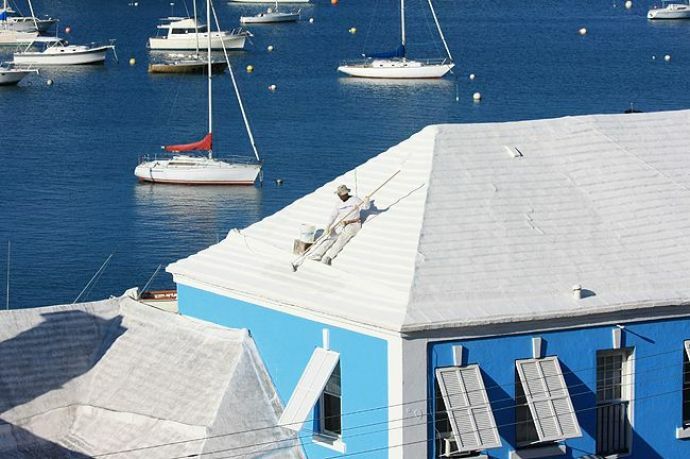 This uniquely efficient and beautiful architecture of Bermuda is four centuries old. 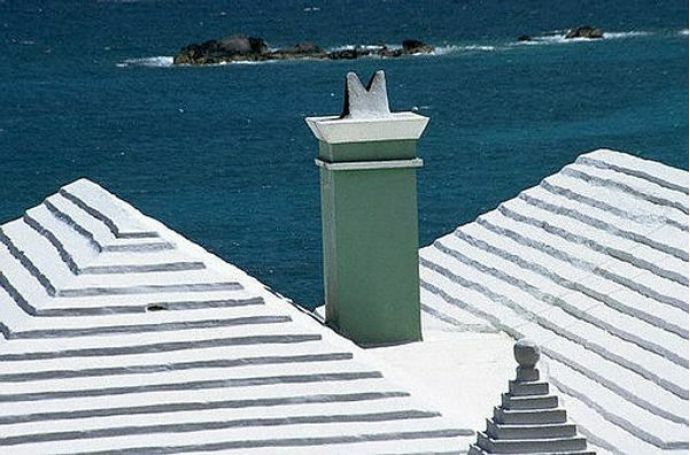 One of the best sites in Bermuda are the white stepped roofs that occupy this remote, British island in the Atlantic. Besides being artistic and attractive, the roofs are beneficial for environmental impact. Water scarcity was a concern from the time there is habitation in the area. So the early inhabitants came up with this unique idea of stepped roofs to collect the rainwater. The steps help the rain water to slow down and is collected in the gutter pipes leading to an underground tank. The houses and the roofs are made up of Limestones painted in pastel colours of a design familiar from British towns or villages. Besides rainwater harvesting, the roofs have several other benefits - Limestone is heavy and will not easily shift in case of a hurricane, the white paint reflects ultraviolet light from the sun, which helps in water purification. Before the pastel paints, the roofs are covered in a lime mortar, which had antibacterial properties. Bermuda is a self-sufficient and a well managed place. Even the tourist here are never disappointed. Bermuda relies in the desalination plants. There are now six of them across Bermuda generating a combined 13,500 cubic metres per day. Most of the tourist here play golf, but golf courses need to stay green. For this purpose, the waste water is collected, treated and used for irrigation. 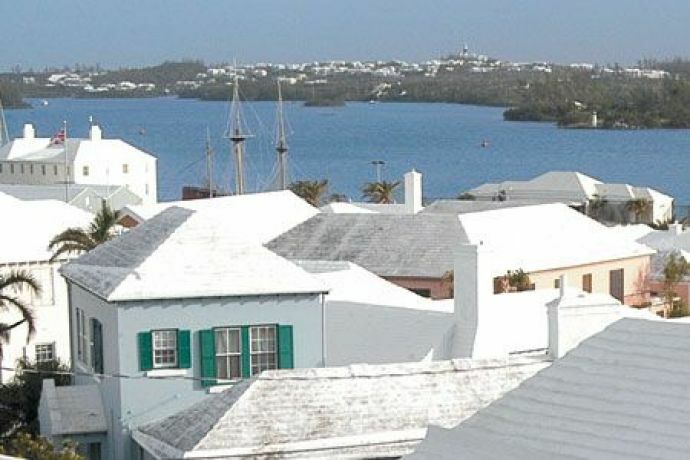 This uniquely efficient and beautiful architecture of Bermuda is four centuries old and is still used which is what makes the it a very engaging and distinctive island.